We are very excited to be celebrating our 14th year in business. We've had quite a journey from when Harvey and I were hunched over dozens of boxes of material in his D.C. basement, piecing together the pages of what would be our first of many books together. Many people know Harvey and his past work with National Geographic, as well as the books and spoken word CD's we've produced in the last ten year, but I'm not sure many people know the story of HYT Publishing and what our goals have been along the way. Harvey and I started this company to simply produce one book together. He didn't feel like shopping around all the other publishers in what can be considered a rat maze of a process. He called me up and said, "George, let's forget about working with other people who want to tell us what we can do. Think we can pull this off ourselves? Think we can publish this thing on our own?" After signing up for some courses in publishing, while working on the book contents and layout, we launched HYT Publishing eleven years ago. We set two goals for our company. The first was to get books and CDs out to the world that might not otherwise see the light of day. We wanted to find the hidden gems of the world, like Edna Gordon, and get their words of wisdom out for people to learn from and share. The second goal was to try and get as many projects done as we possibly could, by taking any profits we made from one project and putting them towards the production of the next project. We have used every dollar we've made, to produce more projects...and we've donated whatever we could to various events, fundraisers, and families that need our support. We are proud to say we've been been doing this for 14 amazing years now! We want to thank EVERYONE that has supported us! Without you all, we would never have made it this far! 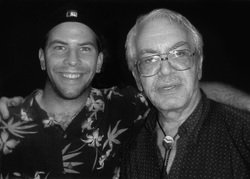 Harvey Arden passed on to the spirit world on Nov 17, 2018. For the many who got to know him and love him, we are deeply saddened by his passing. We will be working on a separate website to host many video and audio recordings, as well as stories by and about Harvey. George Blitch, owner of HYT Publishing, has issued a statement about Harvey, which you can read here. We ask that you all keep your prayers for Harvey's family in your hearts and minds. Dreamkeepers is now available on eBook!!!! We are thrilled to announce that we have produced our first eBook, "Dreamkeepers: a Spirit-Journey into Aboriginal Australia". 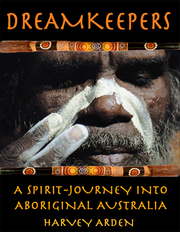 Harvey wrote Dreamkeepers in 1994, following his incredible journey into the heartlands of Aboriginal Australia. Long out of print, we've decided to bring it back for your enjoyment! Learn more about Dreamkeepers, and how to order your digital copy today! Harvey Arden worked with National Geographic as an editor and writer for 23 years. He is a best selling author and has written numerous books by, about, and with Native American Indians and Indigenous Elders, worldwide. We invite you to learn more about Harvey Arden and his various projects, including the Wisdomkeepers Project, by visiting his page, here.